A recent innovation in the cosmetic enhancement field, NovaThreads® are designed to lift the tissues of the neck and face with tiny threads that dissolve slowly over time. A recent innovation in the cosmetic enhancement field, NovaThreads® are designed to lift the tissues of the neck and face with tiny threads that dissolve slowly over time. These threads can be used to anchor tissues and to produce results similar to those possible with a face lift. Unlike a face lift, however, these procedures are minimally invasive and generally comparable to an injectable treatment. Also known as instant thread lifts, NovaThreads® procedures can be performed in the AVAmedica MediSpa facility and can help you look your youthful best every day. NovaThreads® are tiny dissolvable sutures made from a polydioxanone material. These small sutures can be used to create a layer of fibers under the skin that forms a support structure for tissues and increases volume in the targeted areas. This can reduce the appearance of wrinkles and lines while providing a fuller, more attractive look for cheeks, chin and other areas of the face. 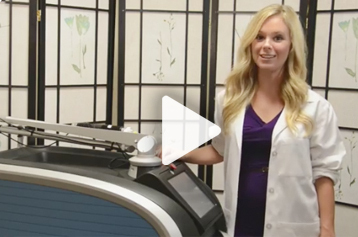 How Does the NovaThreads® Procedure Work? The tiny polydioxanone threads used in the NovaThreads® procedure are carefully implanted just under the skin to create a mesh or to attach to subcutaneous tissue. The mesh procedure is designed to stimulate the production of collagen and to increase fullness in the target areas. This method involves the implantation of overlaying threads to add volume and to improve skin texture. The lift method repositions tissues to reverse the visible signs of aging. NovaThreads® can anchor sagging skin and underlying tissue to produce a more youthful and attractive appearance. Your aesthetician will discuss the benefits of each of these procedures with you and will help you to find the ideal solution for your cosmetic enhancement needs. How Long Does the NovaThreads® Procedure Take? NovaThreads® procedures typically take about fifteen minutes to an hour to complete and involves the insertion of these threads just under the skin. Most patients can go home immediately after the NovaThreads® procedure and can resume their regular activities right away. What Areas Can Be Treated by NovaThreads®? Most patients choose to enhance the appearance of their face or neck with NovaThreads® procedures. NovaThreads® are especially effective in treating sagging jawlines, drooping cheeks and other areas where a little lift can go a long way. These procedures can be used to restore the natural curves and planes of a youthful face to help patients look and feel great. At AVAmedica MediSpa, we can provide you with the latest NovaThreads® treatments and procedures to enhance your looks and eliminate lines and wrinkles. We work with you to determine the best possible treatments for all your beauty goals. Call us at 646-588-0888 to set up an appointment or to learn more about NovaThreads® and how they can help you make the best first impression every day.